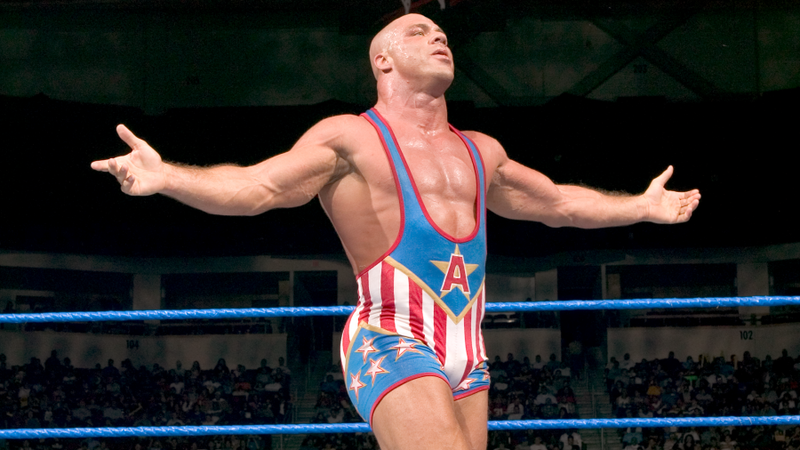 The years of speculation are over – WWE has confirmed that Kurt Angle will return and be inducted into the company’s Hall of Fame at this year’s ceremony. 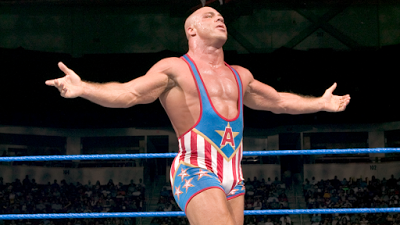 Every since Kurt Angle left WWE in 2006 and subsequently had a lengthy run in TNA, it seems like the question about Angle returning has never really gone away. While Kurt had some great matches in TNA and helped bring major notoriety to the company during its better periods, it seemed like Kurt’s home would always truly be WWE since that’s where he rose to become a main event star. But does a Hall of Fame induction mean we will see Kurt Angle compete again in a WWE ring? That remains to be seen. For years it seems like every time a WWE return was mentioned to either Kurt or someone from WWE, his health and well-being always seemed to be the biggest factor in that decision. When Kurt left WWE, he was not in the best of health and had a dark period even during his TNA run that lead to multiple arrests. Luckily, Kurt has reportedly been clean and sober for the past few years and that is most likely the reason the door for a WWE return has opened. One thing is for sure – “ONE MORE MATCH!” chants will ring out loud and clear in Orlando during the Hall of Fame ceremony, and it’s up to WWE to see how they handle it. Could Kurt be a surprise Royal Rumble entrant? Is one more WrestleMania match a possibility? Maybe a surprise run-in of sorts at the big event? WWE has to know that the fans want to see Kurt Angle wrestle again, and the announcement of his Hall of Fame induction is step one, and a step that is sure to please the masses this year during WrestleMania 33 weekend.